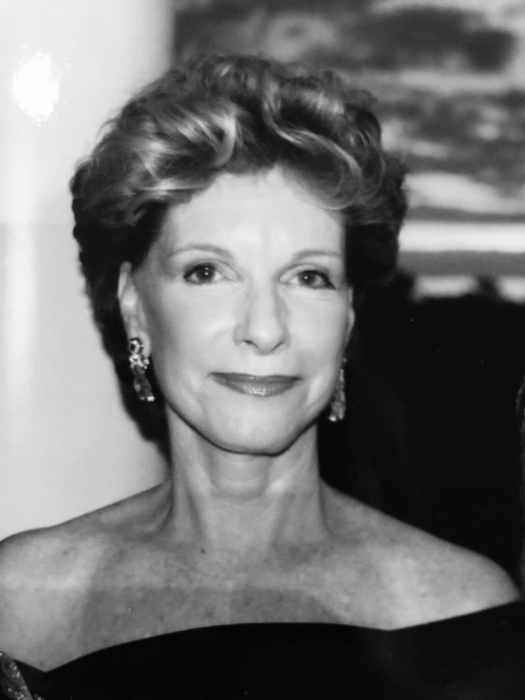 With love and gratitude, the family of Alice Jane Costello Boss-Altman of Blackstone Boulevard, announces her passing on April 7, 2019, at the age of 75. She was surrounded by her family and loved ones in her final days at Philip Hulitar Hospice in Providence, Rhode Island. She is survived by her loving husband Sanford H. Altman of Providence, RI, and her brother John B. Costello of Hobe Sound, Florida. In addition to her husband and brother, she is survived by her three children Geoffrey M. Boss and his wife Monica I. Boss of Narragansett, RI, Andrew T. Boss and his wife Melissa G. Boss of Narragansett, RI, and Peter T. Boss and his wife Megan H. Boss of Haverford, PA. “Nani” will be watching over her seven grandchildren, Charlotte, Sydney, Morgan, Hannah, Teeden, Hayes and Pippa, whom she loved dearly, along with her many nieces and nephews. Alice also leaves behind a group of devoted, loving, and supportive friends who have been with her throughout her life and on her most recent journey. Alice was predeceased by her niece, Alexis Allen Boss, and by her sister, Elizabeth Ann Costello Sheridan. The daughter of the late Raymond F. Costello and Bessie A. (Teeden) Costello-Landrigan, Alice was born in Providence on July 25, 1943. She grew up in Pawtucket and Narragansett and was educated at the Convent of the Sacred Heart, Elmhurst, graduating in 1961. She then graduated from Garland College. Her love, passion, and commitment to organizations in the state were an integral part of her life. Most recently Alice was a board member of Water Fire Providence. She also volunteered her time and talents with The Met School, RISD Museum Associates, Providence Art Club, Meeting Street School and many other organizations throughout her life advocating for the arts and education for members of the Rhode Island community. She enjoyed time with family and friends as a member of the Dunes Club, the Providence Art Club, the University Club and Handicraft Club, and was a former member of Point Judith Country Club, Rhode Island Country Club, Agawam Hunt Club and Lyford Cay Club. In lieu of flowers, donations in Alice’s memory may be made to The Met School, Philip Hulitar Hospice or Water Fire Providence. Visitation will be held at Jones-Walton-Sheridan Funeral Home, 1895 Broad St., Cranston, on Thursday, April 11, 2019, from 3-7 pm. The Mass of Christian Burial will be held on Friday, April 12, 2019, at 10 am at Saint Sebastian Catholic Church, 67 Cole Ave., Providence, Rhode Island.